Milo and Wanda have always sat in the same pew of our church, on the north side. And they were always touching, holding hands. His arm was often draped around her, along the back of the pew. Her hand rested on his leg. He dragged around an oxygen tank. She needed knee surgery. They’d been married for nearly 65 years. And they still had stars in their eyes. One Sunday a while back, Wanda scooted over to my pew before church, and she held out her hand. “Look!” she beamed. She wanted me to see what Milo had bought for her — a new Black Hills Gold ring. I looked over Wanda’s shoulder to see that ol’ lovebird beaming. He told me he’d seen the ring in a catalog that arrived at their farm. He thought she needed it — just because. He bought the ring for no other reason than love. After church, we drank coffee together in the fellowship hall. I asked them the secret to their happy marriage. He asserted that it was mostly due to the fact that he was “always right.” He winked, and we all laughed. And then Milo got a little teary-eyed. Because I asked him about their first years of love, the years filled with hope and that starry-eyed belief that deep happiness is possible. Milo and Wanda got married right there on the family farm, on April 28, 1950. And for years, they kept meeting in their fields. During planting season, she would run across the rows of newly planted crops to bring him lunch. And his heart would swell up with love when she came running. When he told me that story over coffee, Milo reached across the table to find Wanda’s hand. I guess you could say that Wanda kept running toward Milo for nearly 65 years, even when they couldn’t really run anymore. And Milo kept running toward Wanda. A happy marriage is what happens when two people dare to wake up every morning to say “I do” again and again. A happy marriage is what happens when two hearts keep running toward each other, even when you want to run away. Milo and Wanda had hard years. There was heartache in their decades together. That’s their story to tell, not mine. But I can tell you that most couples who lives to see their 60th wedding anniversary understand how you feel when you say you lost your happily ever after. Almost every couple I know has, at one time or another, wondered where the happiness went after the magical music of the wedding dance faded. Real life happens. The needle scratches across the record. It doesn’t happen in a day, but in a series of months that turn to years. Marriage slips into a bland malaise. Suddenly, you wake up and realize that someone short-circuited the electricity in your marriage, and both spouses blame the other for faulty wiring. Couples slide from happy to humdrum — or worse. And we wonder: how did we get there? And is it possible to rescue what seems irretrievably gone? Milo and Wanda would tell you that it is possible. They’d tell you not to give up. We had a lot of talks about that, and we had plans to have more of those talks. Our family visited Wanda and Milo in the hospital a few weeks ago, shortly after Wanda had gone in for that knee surgery. We saw how the nurses had brought an extra bed and an extra overstuffed chair to Wanda’s hospital room, so Milo could stay with his wife, instead of out on the farm alone. That afternoon, we prayed together, and we laughed together. 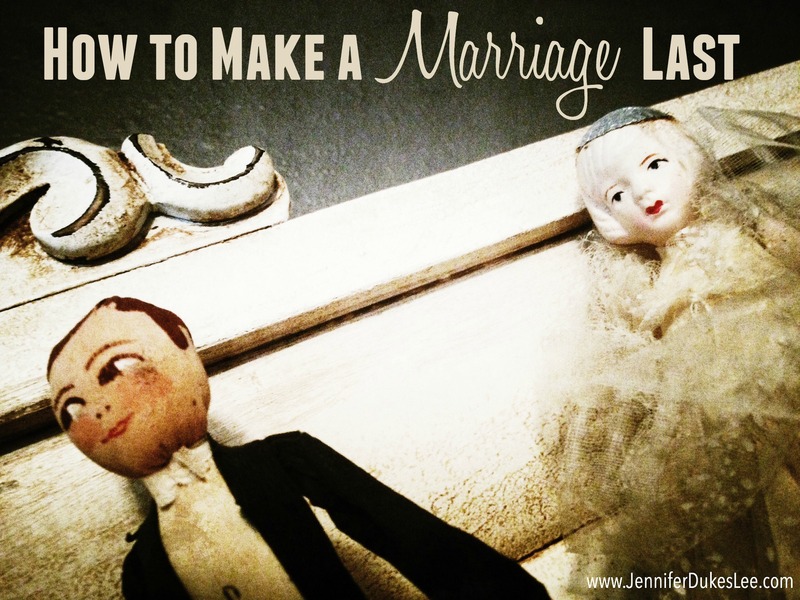 We talked a little about what makes marriage work. And Milo did what he always did: He laughed at his own jokes. And the two held hands the whole time — in sickness, and in health. That was the last time we saw Milo. He passed away March 2, at age 91, and they buried him across the road from our country church. We’ll never forget the lessons that Milo taught us. He and Wanda shared such a rich vision of marriage, at a time when cynics will tell you that holy matrimony is outdated, outmoded and utterly unfixable. But they had managed to reclaim the joy of their own wedding day, and then multiply it across the years. They had found the secret to happiness, right in the gritty-real of their every day life. Here’s what Milo and Wanda taught us about how to make a happy marriage last. 1- Look for Happiness Right Where You Are. Milo and Wanda remind us all that happiness can happen under your own four feet. You don’t have to plan a dream trip to a faraway island, or find yourself on the winning side of a lottery ticket. Happiness can happen by intentionally embracing a lifestyle where we wake up to the life we have, rather than the life we wish for. It begins with taking a long look at what – and who – is standing in front of you, sleeping next to you, sharing your towel rack and your toothpaste holder. It is determining that you already have the seed of something that can produce happiness, and letting God water that seed. 3 – Find Joy in The Gritty. Happiness happens over the bumps and twists of years spent under the same roof. We say “I do” to the marriage, and to the mystery. Happiness happens amidst the unexpected moves, job changes, surprise babies — and yes, even the slammed doors. Happpiness happens in the middle of your bored nights, your begging prayers and in the moments when God miraculously redeems your irrational decisions. It happens in the breaking and the mending. Happiness grows from seeds planted over a thousand meals at the supper table, and in the making up after the door gets slammed. It happens when you share a bathroom and a closet and a counseling session and a queen-size bed and a bowl of popcorn and a bottle of wine. It happens during those late-night dates when you’re quietly watching Netflix, and you reach in the dark, to find the hand of your favorite person. Happy happens when, after the falling apart, you work together to put it all back together again. Marriage is for better and for worse, and knowing that sometimes? The better comes after the worst. Happiness comes in knowing that even if it wasn’t pretty, you made it. Together. And marriage is waking up tomorrow to do it all over again. It’s bliss and it’s chaos. And Milo and Wanda would be the first to tell you: it can be truly, deeply happy. Because you were two hearts that just kept on running toward each other, even when you didn’t know if you could take another step. Hey Tell His Story crew! It’s always a joy to gather here every week. The linkup goes lives at 4 p.m. (CT), and you’re welcome to link up. If you would use the badge on your blog, found here, that would be great. And if you would visit at least one other blogger in the link-up and encourage them with a comment, that would be beautiful! Be sure to check the sidebar later. I’ll be featuring one of you over there! Kelly at A Field of Wild Flowers is our latest featured writer. I once saw a sign painted on old barn wood that said, “The secret to having it all is believing you do.” That phrase was ringing in my ears while I read this beautiful post. Your words moved me to tears. These strong Midwest men like Milo sit in our church pews and teach our young men what real love is. So grateful that you told their story today, Jennifer. What a great quote, Jenni! Oh Jennifer, the tears welled. The.tears.just.welled. What a beautiful love story, and what beautiful insight and encouragement. As a married-for-20-something-years bride, I always welcome marriage encouragement. Wisdom realizes that we can always use encouragement and relationship checks. Thanking God for Milo, Wanda, and you today. Grateful for your words in the comment box, Kristi. It is a beautiful love story, isn’t it, Terri? Thanks for being here. Love stories are my favorite. Thank you for sharing this one. One of Dan and I’s marriage mantras is from Wendell Berry, “What marriage offers – and what fidelity is meant to protect – is the possibility of moments when what we have chosen and what we desire are the same. Such a convergence obviously cannot be continuous. No relationship can continue very long at its highest emotional pitch. But fidelity prepares us for the return of these moments, which give us the highest joy we can know; that of union, communion, atonement (in the root sense of at-one-ment)…” We love because He first loved us! OH wow. I love that, Monica. It’s my pleasure, Cathy. Grateful to have you here. Happy tears for a life well-lived and a beautiful story of marriage. Thank you for sharing Milo and Wanda’s story. Thanks for reading along, Mary. You have such a knack for telling a story. And tell me that’s not Milo’s 91-year-old picture. Cuz no way! Praying for Wanda tonight. My heart aches for her. That is, I think, a pretty recent picture of Milo. Certainly within the last few years. He was one good lookin’ dude. You’ll also find him in the last chapter of Love Idol, with his hat. 🙂 We’re really going to miss that fine fellow. Beautiful and inspiring love story & great advice! Thanks for hosting & God bless! What a precious story, Jennifer. I love the list you shared here. My grandparents had one of those marriages that was the model for the romance novel. You know.. they met, they fell in love right there, and they made a choice to get married and WORK IT OUT. 🙂 He would reminded me he made the choice to love and she would always smile when she mentioned His name. They always departed with an, ” I Love You!”. That is something my husband and I have purposed to make a habit as well. Thanks for those prayers, Dawn. You are precious. What a wonderful love story! When my husband and I started dating, we would joke with each other that even if we didn’t end up getting married, we would still be best friends in our old age, helping each other with our dentures and walkers. Now that we’re married, we still hope to age gracefully together; there’s no one else I’d rather spend the rest of my life (even when wearing Depends), than him. Just precious! My parents will be celebrating their 60th wedding anniversary this August so this touched a special chord in my heart. So glad you share about Milo & Wanda. Moved to tears with you, Betsy. Their story is a beautiful story. And thank you for sharing so generously on social media. Means so much. Oh my word, I just adore this post. I needed to be reminded that I need to run across our field to my guy daily. Thank you. Me, too, Paige. Me, too. Beautifully written, Jennifer. Thank you for sharing Milo and Wanda’s story. Thank you for your kind words, June. Such a beautiful real-life story! I’m glad you were able to have those conversations with Milo and Wanda. I can just imagine them beaming as they were able to share their story. But I can’t imagine how Wanda must feel now after losing her partner of so many years. Praying for her! I love Milo and Wanda. I have mentioned them both here a number of times. They’ve been so full of simple wisdom. And Milo is in Love Idol, too. They are dear to me. I am really going to miss that man. What a precious story- thank you for telling it! You are so welcome, Katie. Thanks for stopping by. Jennifer, my father-in-law just passed this past Sunday. 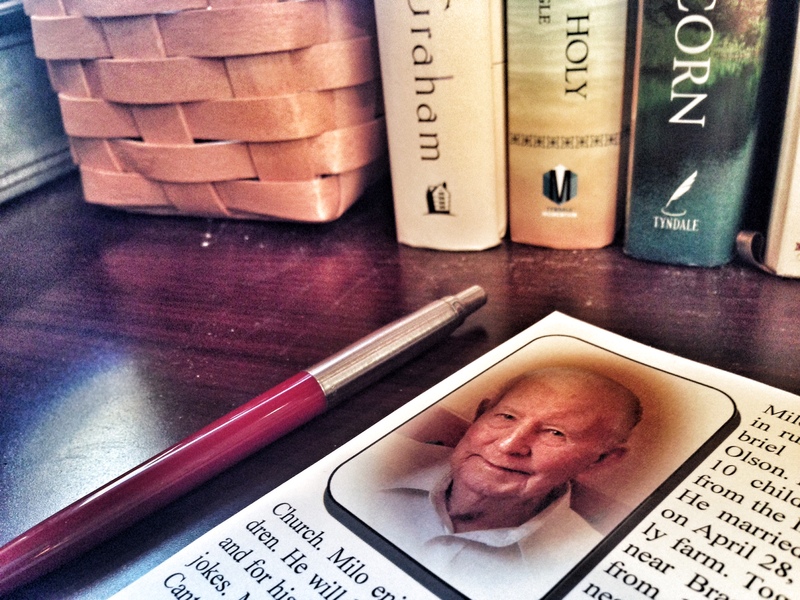 His wife of 68 plus years was by his side…….Their marriage was similar to the one you wrote about. Among some papers we found in Thelma’s handwriting a quote from George Elliot “What greater thing is for two human souls, than to feel that they are joined for life….to strengthen each other in all labor, to rest on each other in all sorrow, to minister to each other in all pain, to be with each other in silent unspeakable memories at the moment of last parting?” It spoke volumes of their life together. Don’t we all hope the same for ours? Thanks for continuing to share your stories with all of us. I am so sorry for your loss, Susan. What a gift, to have lived in the presence of such a beautiful marriage — and to find that quote among their papers! Oh, how this story touched my heart and my soul, Jennifer. Milo and Wanda are an inspiration to married couples everywhere. May we always keep running toward each other! I love knowing my husband is a gift, a tool of sanctification, a friend and a leader. The best times we ever have are serving the Lord. I am thankful God laid that foundation in us that as we pursue joy in Him we enjoy each other. 🙂 This is a sweet story that helps me know growing old together with someone can be a blessing! Wow, what a wonderful couple Milo and Wanda are. I feel blessed by just having read about them. I get that the happiness can come from having worked on something that was really tough…putting back together what was almost unrepairable. You say that the better might just come after the worse, and I think those are such good words to remember. What a beautiful story! I love your reminder to look for happiness right where we are! So often I look ahead to the next “big” event, and don’t notice the blessings in the ordinary! Thank you! I absolutely loved this. We live in a fast-food society of instant gratification and when marriage doesn’t instantly pan out in a moment of ‘short circuiting’ we loose all patience and look elsewhere. We need more people with the mindset of Milo and Wanda. I was engaged to be married when my grandparent’s celebrated their 50th, I asked them how they did it and my grandpa quickly replied: never go to bed angry and if you just can’t resolve the issue before bed, at least kiss and say ‘I Love You’. This so warmed my heart:) We’re working on 33 – and your list is so true! I still think my husband is the most amazing man ever! I want our marriage to have that Wanda and Milo feel when we’ve been married 50+ years:) So glad you shared their story! Such a sweet, sweet story, Jennifer. Thanks so much for sharing this. Inspiring and poignant and something to work toward in our own marriages. Thanks for the great tips! Hugs to you!! The heart-warming story of Milo and Wanda reminded me of my parents’ story. They were married nearly 66 years; Mom graduated to heaven last October. I, too, witnessed much hand-holding, sweet kisses, support and encouragement, one for the other. 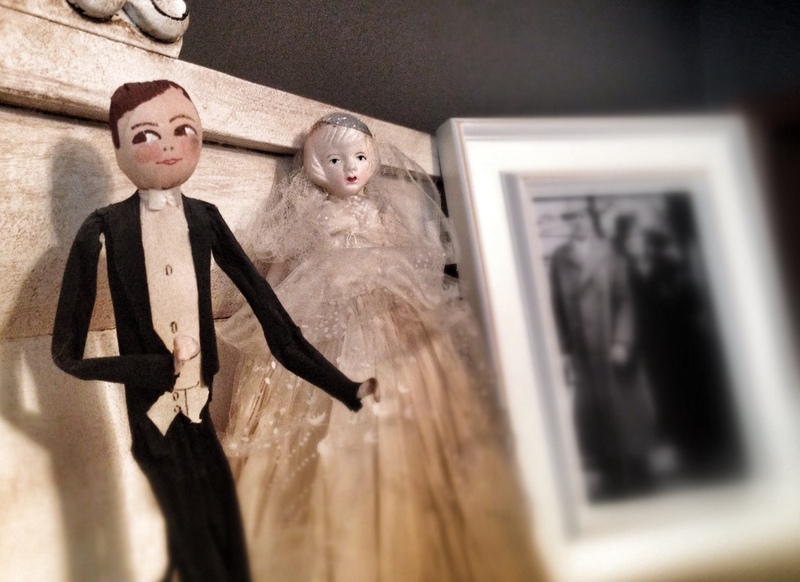 I loved your observation: A happy marriage is what happens when two people dare to wake up every morning and say, ‘I do’ again and again.” And your three tips for making a marriage last are brilliant. Thank you, Jennifer! I absolutely loved this, Jennifer. So beautiful. I have been lifting up lots of prayers this week for my son and his wife who are going through difficult times since his return home from a deployment. I pray that they choose to keep running toward each other, even when one may want to run away.